A new musical, based on the smash hit film. 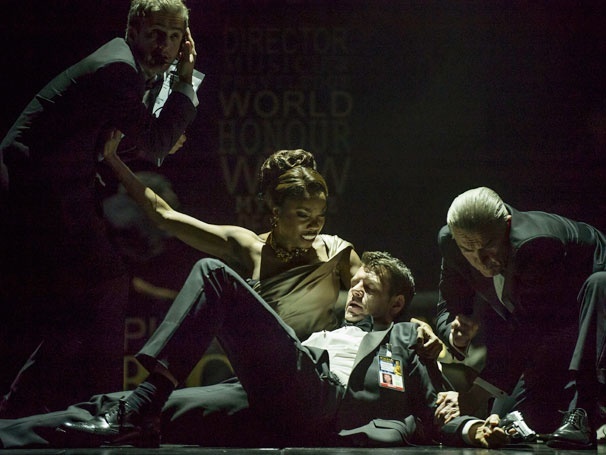 Heather Headley (second from left) as Rachen Marron and Lloyd Owen as Frank Farmer with ensemble in The Bodyguard. Production shots of The Bodyguard.